Ready to upgrade from that old fishing box? Or just wanting another or a new one? 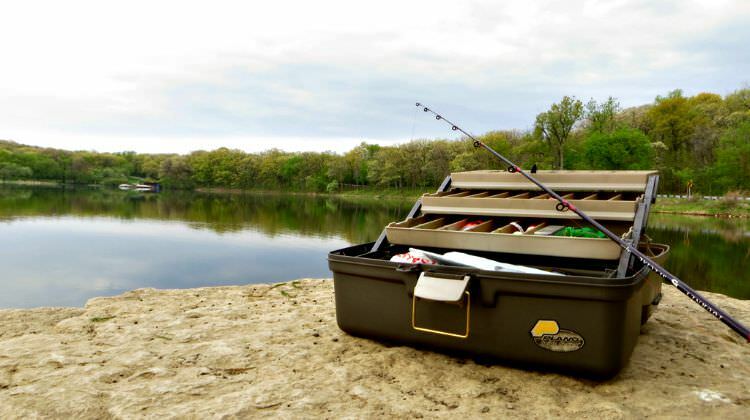 A Plano tackle box can be the perfect fit for your salt or freshwater fishing tackle organizing desires. They are the number 1 selling brand of boxes. 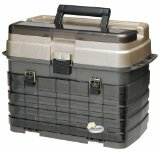 I personally own a couple Plano tackle boxes. I must admit that they are one of the best investments that I have made for my fishing accessories. They keep my fishing tackle nicely neat and organized, and easily accessible when I need to quickly find something right away. This has proven to be so much of a great time saver for myself when I'm out on the water. Plano introduced the first molded tackle box in 1952, and haven't looked back since with their ongoing innovated improvements. Of all the fishermen who own any type of a tackle box, there is about an 80 percent chance that it's a Plano. What does that mean to us? This tells me that there isn't much competition for them to worry about. Why is Plano so trusted? Their fishing tackle boxes are carefully designed to look good and constructed of high quality materials. They come in a variety of sizes with plenty of room, many usable features and storage solutions, all depending on your needs of course. Just as important, they are priced right and are of great value. As mentioned, there are quite a few options to choose from. Plano offers hard plastic boxes, soft-sided boxes, tackle boxes with wheels, tackle bags with shoulder straps, backpacks, waist packs, stowable boxes, and more. The bottom line is that Plano has a very solid and trusted reputation and virtually unbeatable. 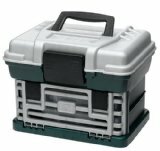 Their fishing tackle boxes are sturdily constructed, provides awesome organization features, they look cool and feel comfortable, and are priced great. To learn more about the Plano Molding Company and what else they do, check out our oversight review and contact information for Plano fishing tackle box company. Has many features to keep your tackle organized. Large storage compartment under the lid. Includes four 2-3500 Prolatch boxes. Plano brochure and nameplate order form. Includes Plano 4 utility system. 3 removable bait racks with separate access. Four 2-3701's and 1 2-3500 Prolatch Stowaway. DuraView top cover lens with access. Presents utility boxes at a 15 degree angle. 2 additional side compartments on each side. 2 drawer, 2 removable utility system. 4 removable stowable utility boxes. Tool storage compartment on the side. Includes two 3600 series Prolatch boxes.